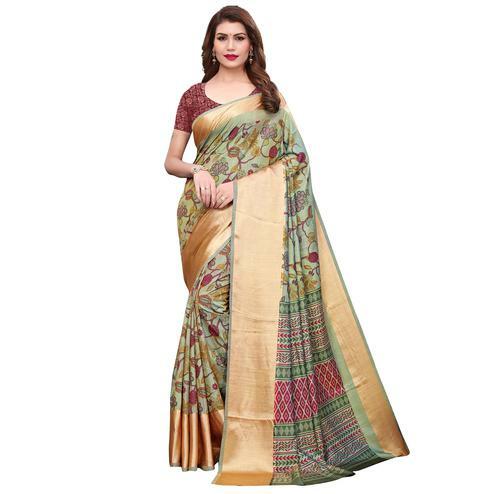 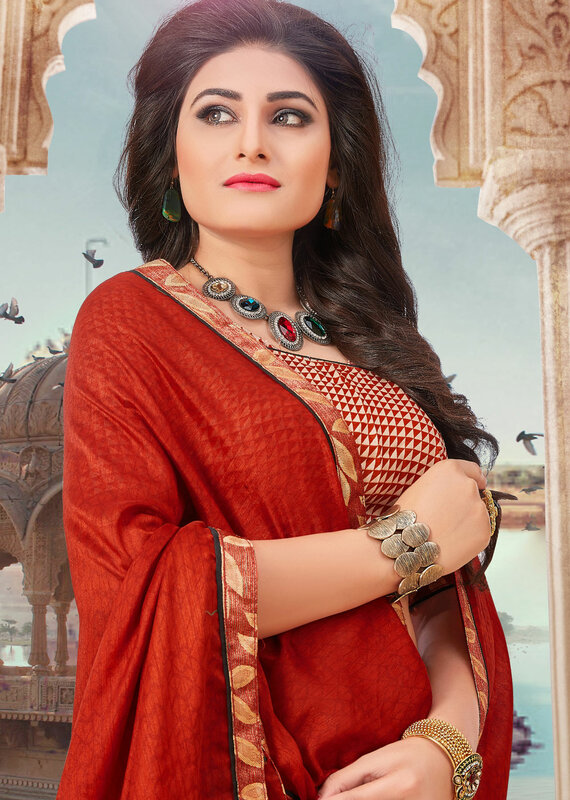 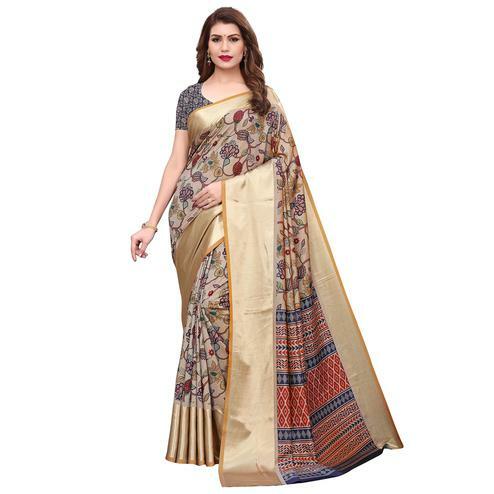 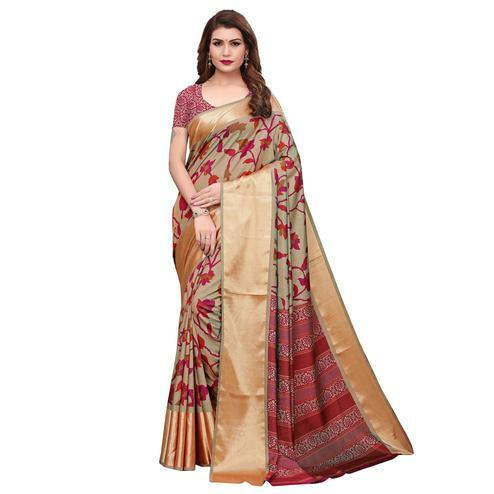 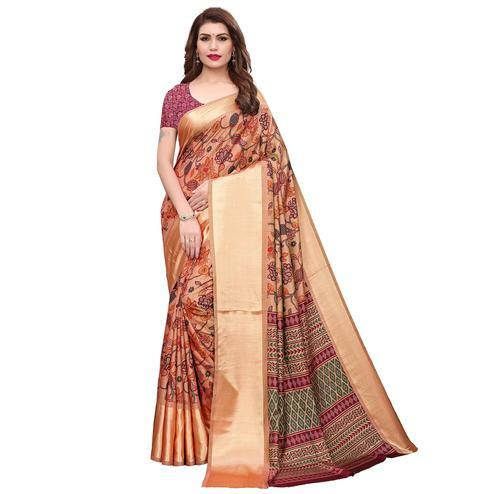 Introduce new extend of trend to the new generation with this orange and brown half and half art silk saree . 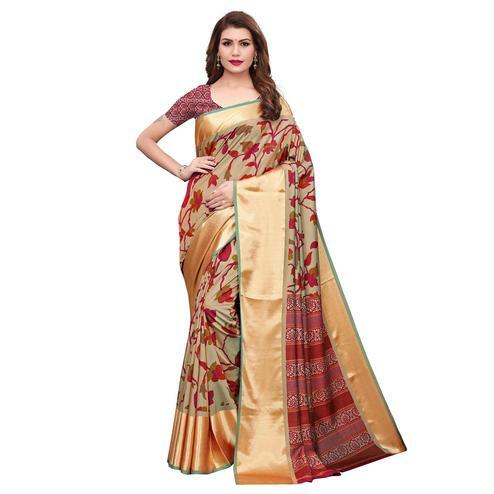 It's riveting stylish saree decorated with digital print and lace border. It comes with matching blouse fabric. 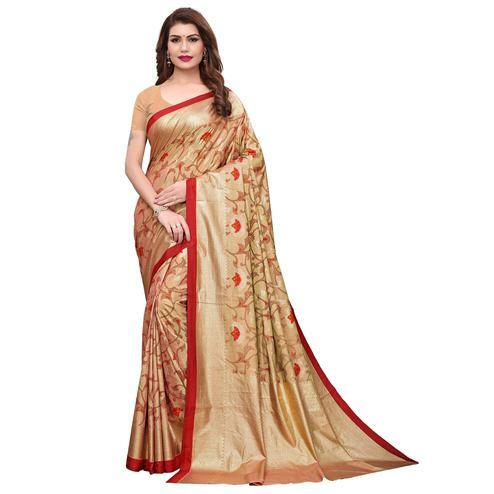 Best for special party, festival and casual occasion.